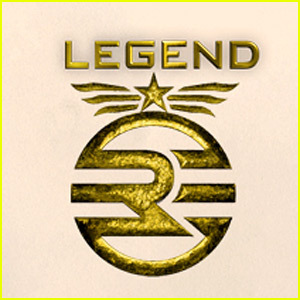 In Legend by Marie Lu, Day, a teenage criminal seeks plague medicine for his dying brother and stumbles across June, the prodigy of The Republic. June aces the placement exam, while Day supposedly fails it. The people who fail the test go to work hard jobs such as a construction worker. In the beginning of the story, Day finds out his brother is sick and attempts to steal cures from the hospital. He successfully broke into the hospital, but later finds out there is no plague medicine there. A guard attempts to stop his escape but receives a dagger through the heart by Day. This guard is June’s brother. June then scours the districts looking for revenge for her brother. She finds a street fight, and Day happens to be watching and betting on that fight. June gets pushed into the arena and defeats the favorite of the arena, but is wounded in the process. Day jumps to the rescue and saves her. June stays there for a while, but eventually finds out that the person who saved her is Day and turns him in. Day is now stuck in prison with no way out. He explains to June how it is suspicious that a new plague comes out of nowhere, and speculates the Republic is creating the plague and also that some of her comrades betrayed her. June also speculates and looks at her late brother’s journals, and finds something shocking. I think the only weakness in the book was the variety of vocabulary. The strengths of the book were an exciting plot and plot twist and the development of the main characters. Reading the book, I had a feeling of what the characters would be like outside the book as someone at school or on the street. I think the author could have used more complex vocabulary as I had to scour the book for vocabulary words to use for the five-by-fives. I think this is a book for a 6th to 8th grader, as the plot is more toward the 8th grade side, but the vocabulary is more toward the 6th grade side. I thought this book overall was a decent book, and I’m looking forward to reading the sequel, so if I went back in time, I would read this book again. I think this book on a scale of one to ten stars, Legend falls at an eight out of ten. 1. Who are the two main characters? 1a. The two main characters are Day and June. 2. What are the important facts about them? 2a. Day is a known criminal and June is the smartest person in the Republic. 3. What does Day try to get when robbing the hospital? 3a. He wants plague medications. 4. Why does he need the plague medications? 4a. His little brother has the plague. 5. Why is June chasing after Day? 5a. Day killed June’s brother while escaping from the hospital. 6. Why is June in a skiz fight? 6a. She wants to roam around the streets to find intel on Day. 7. Why does Day save June from the skiz fight and how? 7a. He uses a dust bomb to get away. He saved her because he bet money on the person June beat. 8. What happens between Day and June? 9. How does June figure out the mysterious boy is Day? 9a. He grabs subconsciously for the pendant that she had taken. 10. What does June’s general do to Day’s family? 10a. The general takes the two brothers of Day hostage and kills Day’s mother. 11. What happens outside the Battala Hall? 11a. A riot forms protesting for Day. 12. How does the general react? 12a. She orders to kill or imprison all the rioters. 13. How does June react to this? 13a. She sees how quickly one of her friends carries out the order and starts feeling uncomfortable around him. 14. What does Day tell June to attempt to inform her of her misunderstanding? 14a. He tries to tell her that the plague is an experiment by the government and that he did not kill June’s brother. 15. How does Day escape? 15a. June realizes that her colleague killed her brother and tries to help Day. She gets help from a group of criminals called the Patriots.